It's Pretty Packages Party time again! After watching that BEAUTIFUL Royal Wedding﻿, I'm so in the mood for "pretty" things. Can you just imagine what their gift table looked like? Some of those hats we saw looked like ornate package toppers! 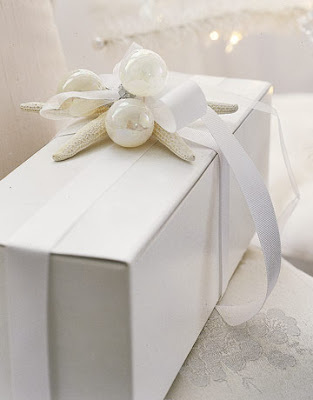 White on white is a perfect choice for a wedding gift. 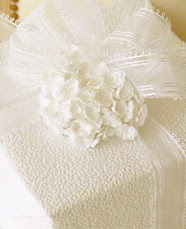 Carolyn Rhoeme used textured paper, gorgeous ribbon and milners flowers to make this wedding gift the most elegantly wrapped one on the gift table. Hallmark has some subtly irradescent paper perfect for wedding gifts. This present was found at REAL SIMPLE. Plain white box, satin ribbon, a starfish and a couple of white ornaments...I'd say that was real simple...and simply beautiful. 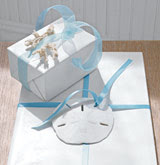 I also love adding blue to a wedding gift...its just such a sweet sentiment. Above is another Carolyn Rhoeme beauty. Carolyn Rhoeme again, but can you blame me?!? Country Living wrapped these sweet gifts with glossy white paper, simple blue ribbon and treasures from the sea...one has a sand dollar and the other has coral. 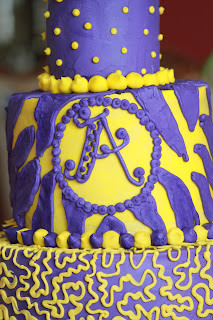 Again, I was honored to be asked to make a birthday cake for a new teenager! 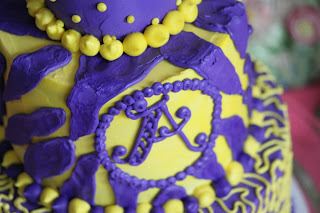 Her favorite colors are purple and yellow. 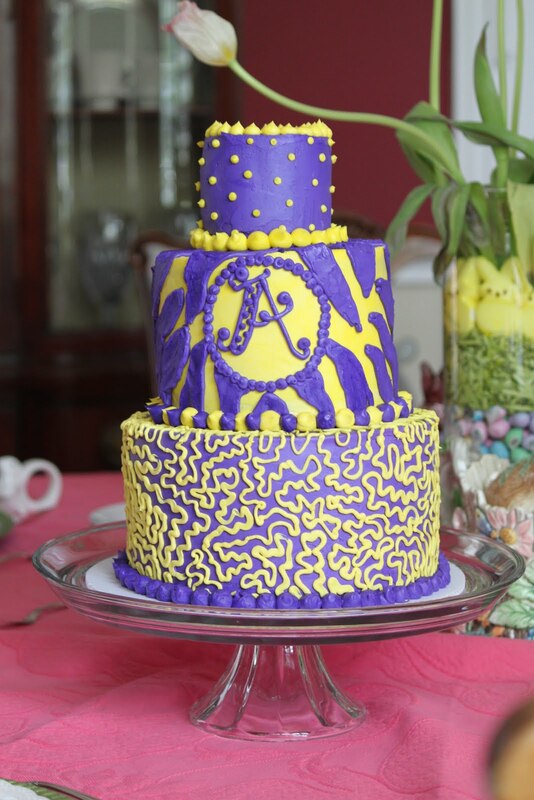 Though I am no LSU fan, I was happy to oblige her request. 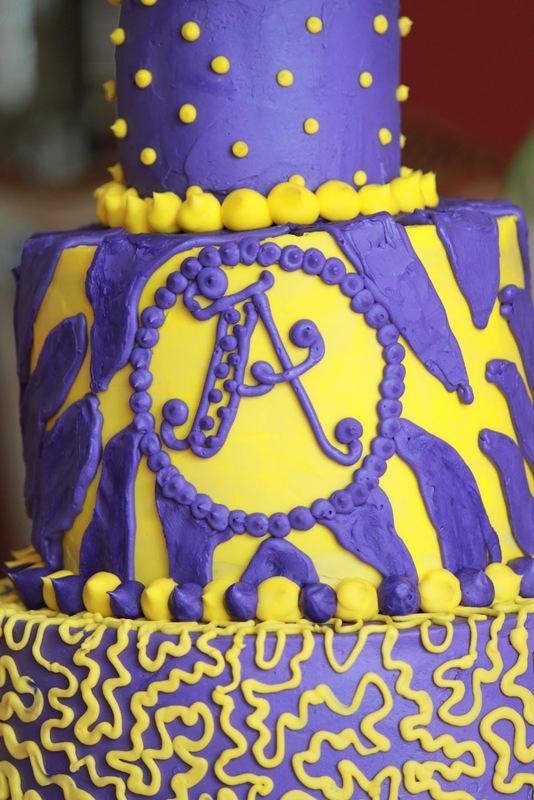 The cake is made from Red Velvet cake. Each tier is comprised of two layers cut horizontally in half and then filled with Cream Cheese Frosting. Yummy! 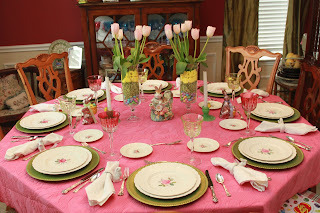 So, it's been a while since I've had a tablescape to post over at Sunsan's fabulous site Between Naps on the Porch. Well, today I shared my little Easter table and got the biggest ﻿treat! A new site to swoon over! It's Styling by Coty Farquhar and its GORGEOUS!!! Not only can you go to her site and oooooohhh and ahhhhhh, but you can also sign up for a giveaway for some beautiful earring from her store. 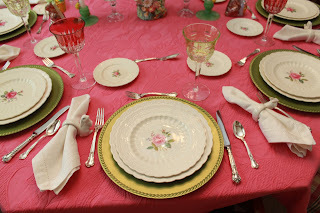 To enter the giveaway, simply click on the button above and follow the directions!Check out all of the lovely tablescapes while you're there, too!Good LUCK! Smiles!! 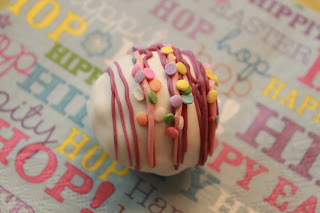 I was honored to create the cake balls for a friend's Easter dessert. Here is a sample of the few I had left over for our own Easter brunch. 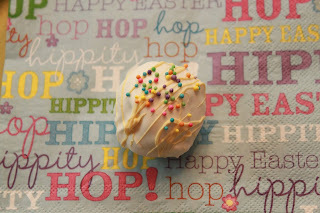 I don't usually have a favorite when it comes to cake balls, but I have to say that the lemon cake balls were so yummy for Easter! 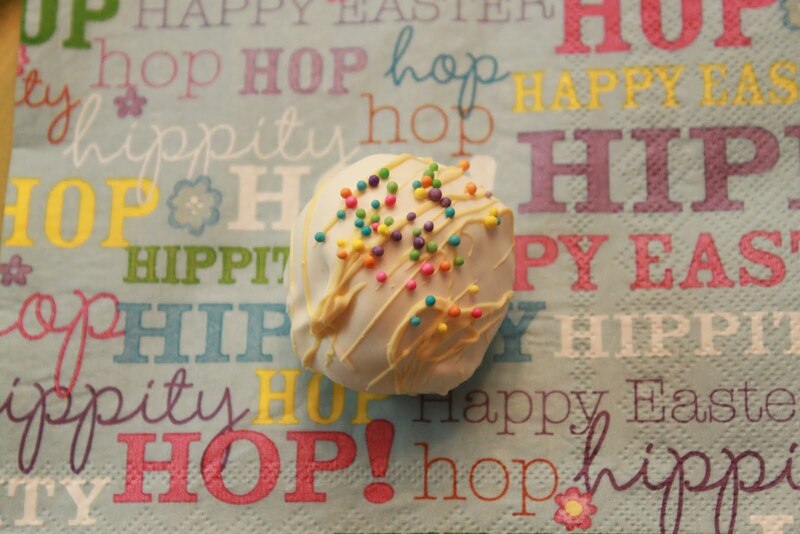 Hope you're Easter was sweet, too! 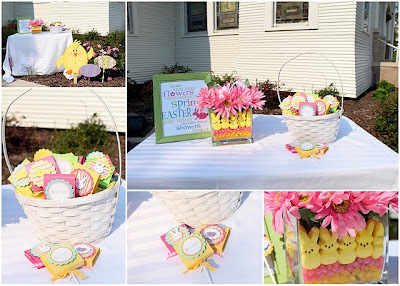 Click here to link up to the Tuesday To Do Party! 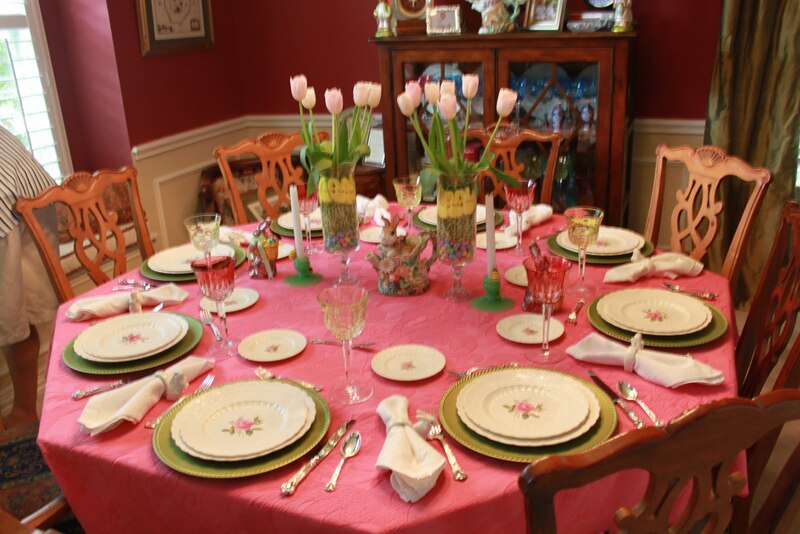 We were delighted that our wonderful neighbors were able to enjoy Easter Brunch with us. They have two of the most adorable little girls you have ever seen. 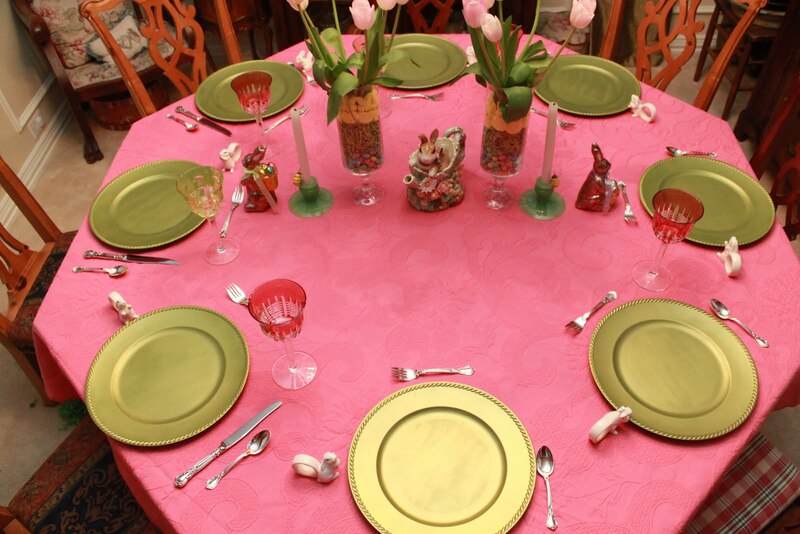 Girls make a pink tablecloth more tolerable for my two guys! The base of this Easter table is a beautiful pink matelasse tablecloth my MIL gave me from Horchow. It is ablsolutely the most gorgeous tablecloth that I own. 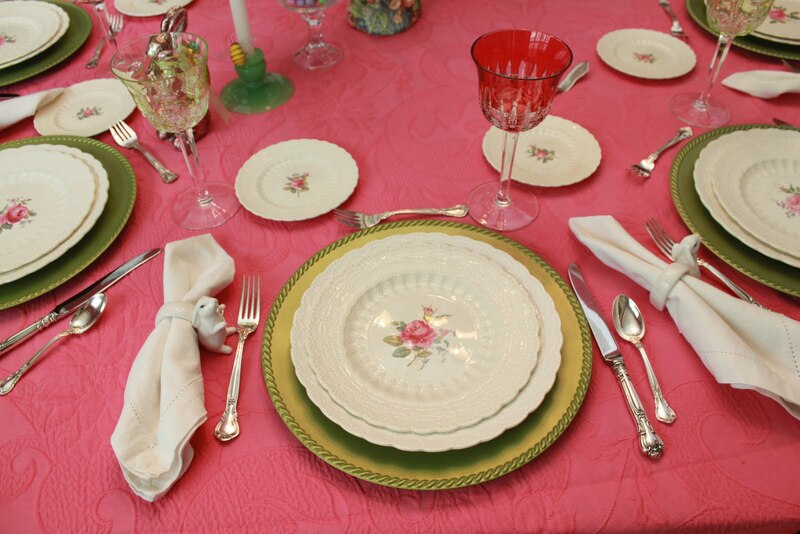 She has amassed a wonderful collection of the most divine tablecloths you have EVER seen. I am so fortunate to have her as an enabler of my tablescaping addiction. You must stop by and see some of her gorgeous tables HERE. 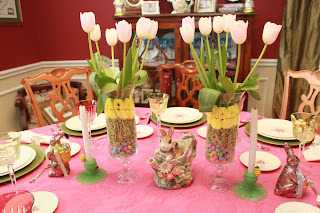 The floral arrangements are from ispirations found through out blogland. The hurricanes are the same ones I made back in October from Dollar Tree pieces. Click here to see the tutorial from The Elephants Trunk. 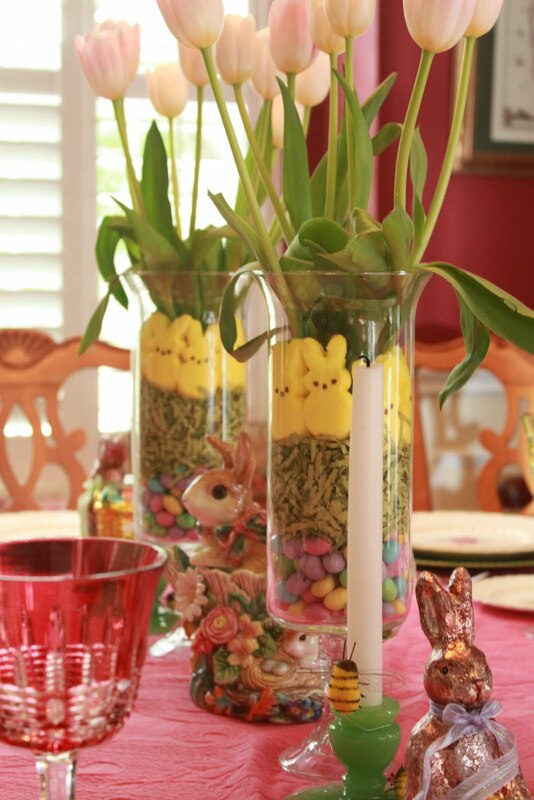 Several bloggers out there shared the idea of using peeps & jelly beans in the base of their arrangements. I can honestly say that this was the first time in my entire life that I have bought a peep. Never bought one before, much less tried one, but they sure look cute in the floral arrangement! For filler I used peanut M & M's and some shredded glass. The beautiful tulips were a steal at Sam's. 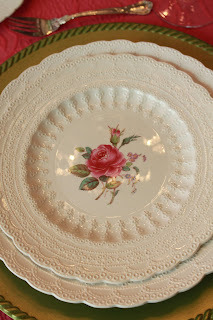 I used my Billinsley Rose Spode China with the Red Stamp for our service. My sweet MIL helped me pick it out and I just love it. 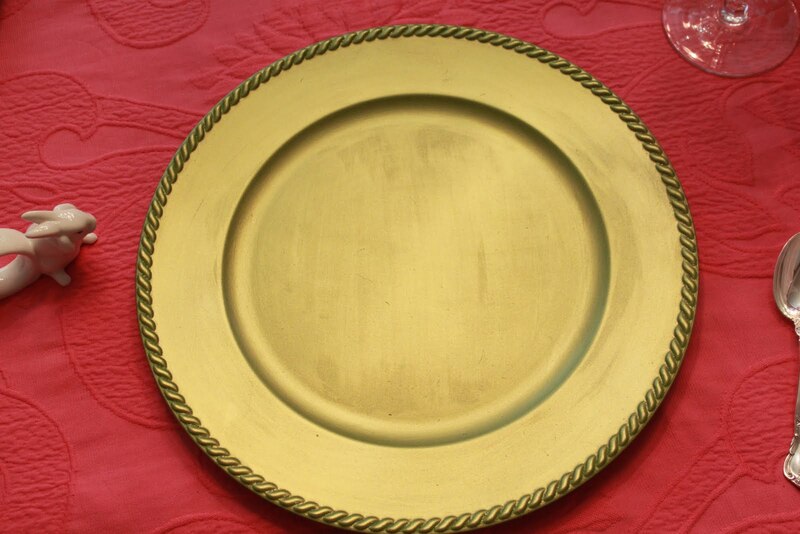 Its my hand-me-down china that I never had. 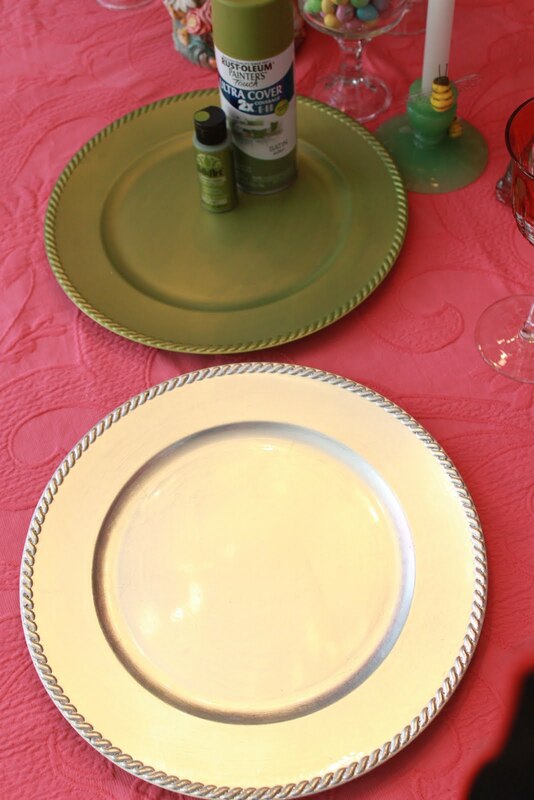 The peridot chargers really pick up the green in the plate as well as the other accent pieces. Click here to see how to make the chargers. Close up of the beautiful Jewel plates by Spode with the Billingsley Rose pattern. Full table view. Don't you just love that pink tablecloth with the green chargers?!? Its even prettier in person! 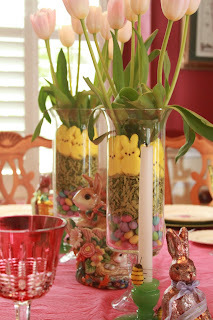 Do you see that sweet bunny peaking out of his pitcher behind the flowers? The water goblets are Simply Pink & Simply Lime from Waterford. The peeps peeking out of their home in the hurricane! The jadite candlestick holders were my grandmother's. They were perfect on this table. The little bumble bees were just a little extra I added. You can find them at Hobby Lobby in the floral dept. Another sweet bunny. Imagine that! 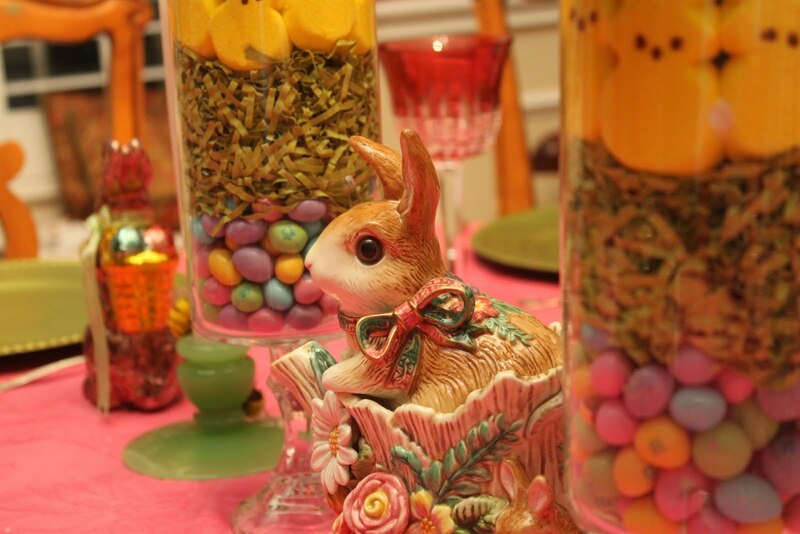 Bunnies on an Easter table. Picked up these napkins rings at Hobby Lobby when they were half-off. Ahhh! The Fitz & Floyd Bunny Pitcher. 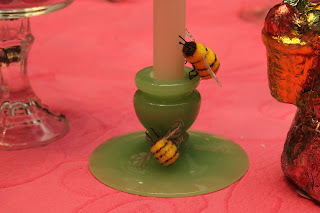 It is such a sweet addition to the table. 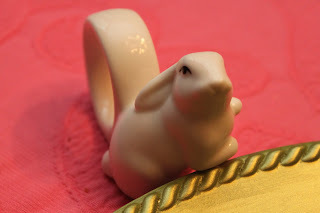 I have a small collection of 5 bunny pitchers that I used through out the house to decorate for Easter. Well, that pretty much wraps up the Easter Table this year. Hope you had as lovely of a day as we did. If you haven't had a chance, click here to check out the TUESDAY TO DO PARTY. 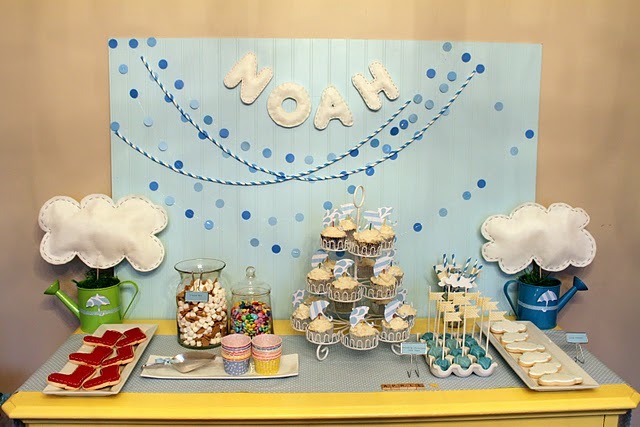 Great party last week! Thanks so much to each of you for sharing your posts with me! I'm constantly amazed by all of the talent out there in blogland! It's always so hard to pick just a few of your ideas/creations to highlight. You can probably tell by the posts I picked this week that I'm trying to resist treats and I have a party or two to plan in my future!! Loving Every Second shares her recipe for these delicious looking peanut butter chex treats! LOVE this sweet party Jenny from Crossing the Bugger-Dixon Line put together for her little guy...GORGEOUS!!! 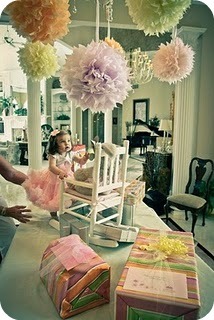 Evelyn Kate Designs gives a great tutorial on how to make these pom-poms! Click here for the Tuesday To Do Party! Just wanted to quickly share with you these fabulous chargers! Peridot metallic green...gorgeous on the fabulous pink matelasse tablecloth from my MIL. Just wanted you to have a better view...this is AFTER Easter brunch. 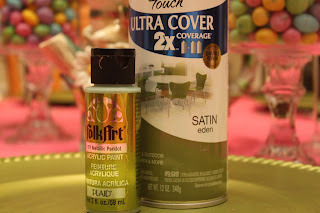 A few different options to create green chargers went through my head...Mod Podge some quatrefoil patterned green fabric or possibly even scrapbook paper. 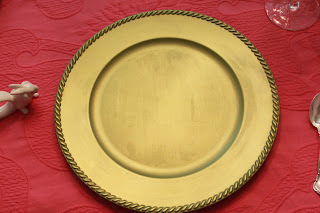 I also thought that maybe that Metallic Peridot paint might work to highlight the Mod Podge plates that never were. Started to get ready to cut out fabric and glue, but after thinking it out (messy, time consuming, little wiggle room for error,) I decided to just paint them all with the metallic paint. No good. The paint offers very little coverage. Then, with a simple foam brush and the FolkArt Metallic Peridot paint, I just coated the entire surface of the painted chargers. 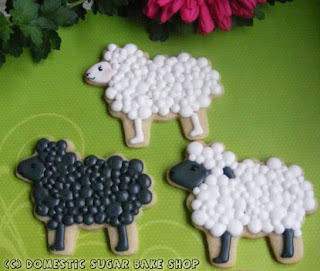 It is CRA-ZEEE how cute these are. The true beauty of this little project is that they were SOOOO easy, SOOOO quick, and SOOOO cheap to create. Pretty little chargers for my sweet little plates...will share the entire tablescape later this week! WOW!!! What a turn out last week!!! Thanks to each of you that linked up! I've had such fun looking at your posts and blogs! Here are a few that have made my TO DO list! This is such a timely tutorial for me...I was just pricing chandy shades this week! Vivienne at the V Spot did an amazing job on these! 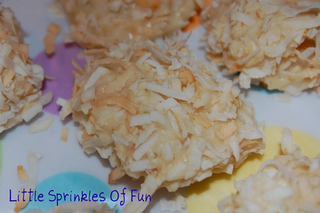 Key Lime Coconute Snowballs from Little Sprinkles of Fun look DE-lish! Love, love, LOVE this framed mirror!! Mike at Blue Velvet Chair created this beauty as well as several more interesting pieces! Meghan at Domestic Sugar decorated these amazing little lambs! I'm so inspired!!! Pretty Packages Party # 8 Highlights! Thanks to everyone who linked up their beautiful package ideas last week. You all have such amazing talent! 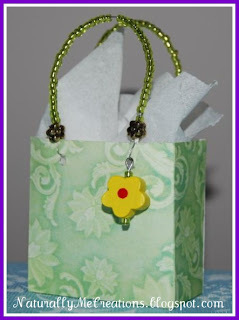 Naturally Me Creations created this sweet LITTLE bag. 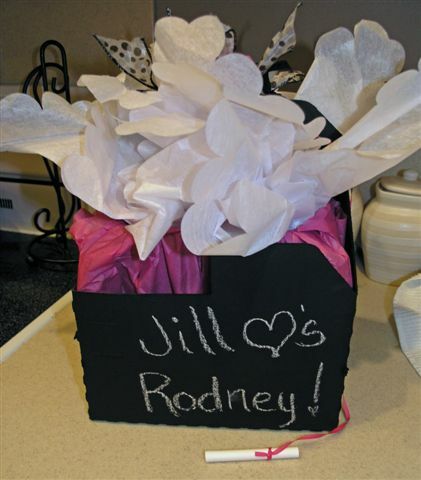 This is such a thoughtful wedding gift made with love by Becky at Southern Creations. Mariah at Giggles Galore missed no detail when she put together this Easter Egg Hunt Party. She even wrapped the suckers!! My kind of girl! 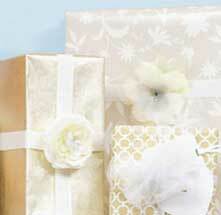 Looking for the Pretty Packages Party? Click here! 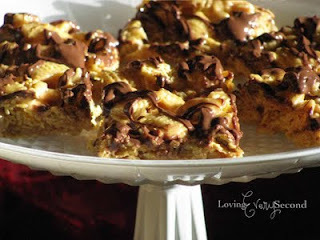 Still time to link up to the Tuesday To Do party...its here! Made these for a baby girl's Sip 'n See last weekend. 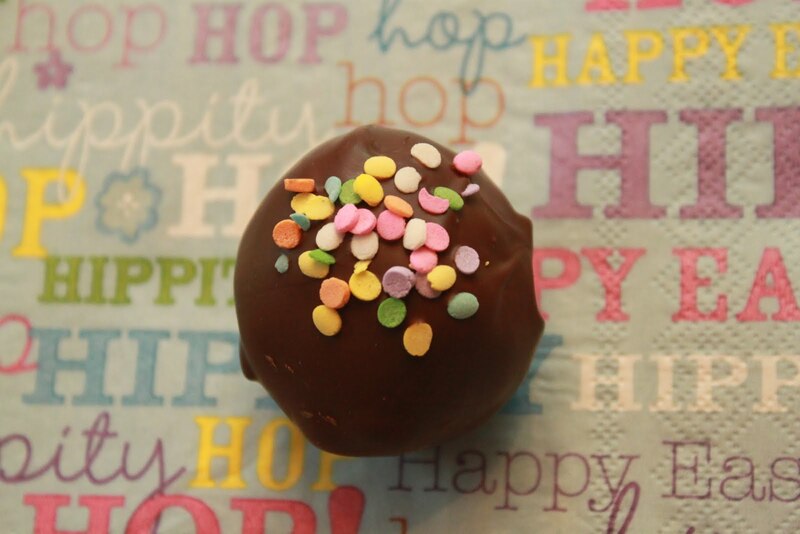 Chocolate/chocolate Cake Balls Dipped in Dark Chocolate. 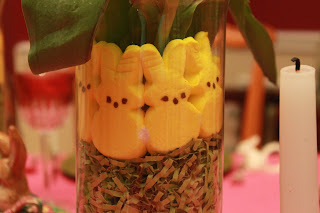 The little candy flowers turned out so cute last time, that I tried them again. 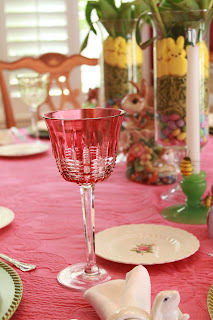 They looked pretty on my pink Easter table! 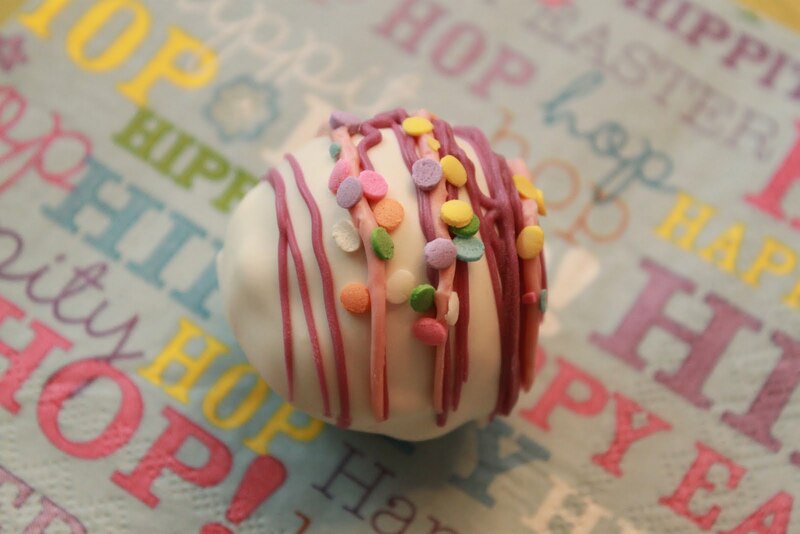 Here is my Cake Ball Tutorial.